I was a truly new pilot with my private certificate and a fresh instrument rating (which I got in a full-glass SR22), but with minimal hours. Almost five years and 1000 hours ago my initial instructor was an excellent pilot, CFI, and FAA examiner, with a depth of knowledge in the Avidyne/430 combination. I received a call from a local pilot about Matt's upcoming WAAS seminar along with a friendly threat that I should take the time to fly with him as well, or else! A new level in the aspects of aviation and avionics thus began. I soon moved up to an SR22TN with Avidyne/430 package, N788SR, which I chose to upgrade to the Avidyne R9 package not long thereafter. With Matt's expert skills, he oversaw that upgrade process and gave me the best education available in the advanced R9 system. Although a new system at that time, to my surprise, he appeared as though he had been flying it for years. 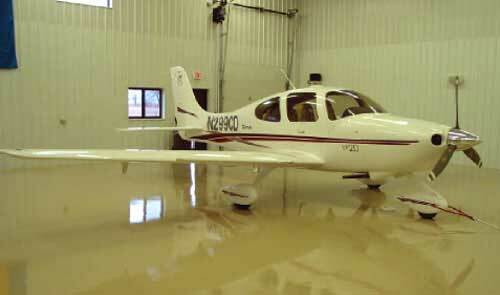 My next step was the purchase of a 2011 Piper Mirage. Matt ventured to simulator training at my request and to assist in my qualification in this aircraft. The instructor was (of course) very well versed in the Mirage as well as the G1000 avionics system. Matt, to no surprise, had complete knowledge of systems, functions, and an overwhelming ability to efficiently manage and instruct the G1000 package. This amounted to five days of great flying and training in an environment unmatched. Since that time, I have spent numerous hours training with Matt, from working on flying skills to management of complicated approaches into mountain airports. Each and every flight is a great learning experience. Each and every flight is a great adventure. As a final word, I would like to say that I have been in the educational and training process for the better part of my life. 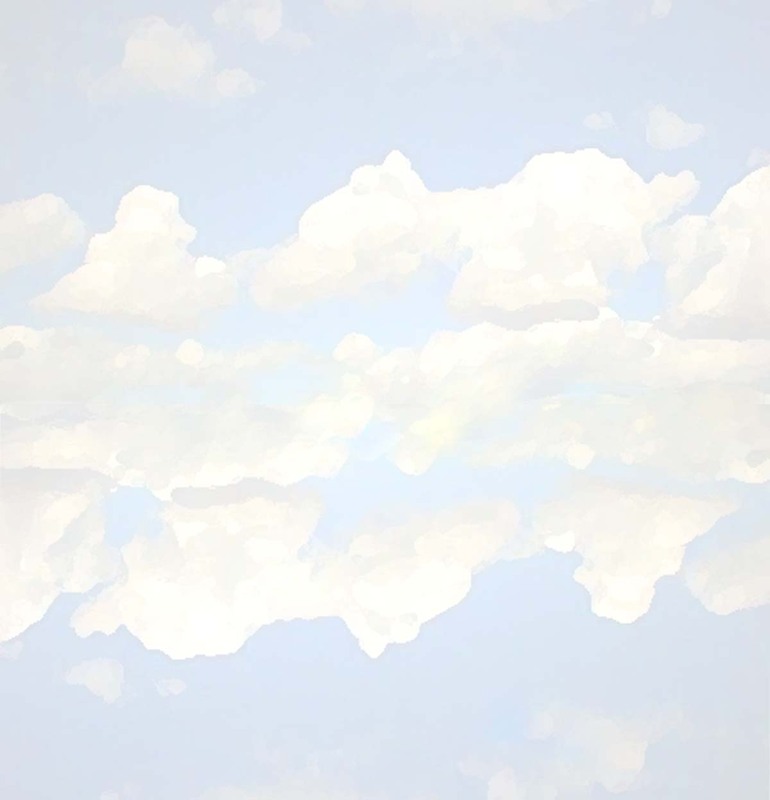 My (true) profession takes great pride in mirroring itself after the aviation profession. I take even greater pride in recommending Matt as the best person, pilot, and instructor I have had the pleasure and privilege of knowing and working with. The "score board" (flight mode annunicator) in the G1000 should have an indicator that states "Matt said...". I thought the WAAS seminar was fabulous. I would not hesitate to recommend the seminar to any pilot, regardless of hours flown or ratings held. You will always learn something. I just wanted to say that I thought the WAAS seminar was great. I thought Matt did an excellent job of balancing background/technical data with what a pilot really needs to know about operating a WAAS GPS. It was far more educational than the WAAS training offered by the 135 employer I used to work for (their whole program was about 30 minutes long). I actually ended up going out on my own to learn about operating the GPS, which made your program even. I also learned a few new things, so thank you for that. I canceled my trip to the factory and instead delegated the delivery & inspection of my new Centennial SR-22 to Matt McDaniel of Progressive Aviation. Matt stayed for three days here in Livermore, CA to train me.... and what a teacher this guy is!Matt has around 2000 hours flying Cirrus aircraft. He used to train for the factory, and is now on his own conducting the most professional, organized, and effective training I've ever had.Matt had me (a one eyed, color-blind pilot) landing the Cirrus pretty uneventfully in Day 2 (I think we executed 36 landings during his 3 days). His ground school, essentially a slick series of custom PowerPoint slides, photos, and video clips, covered the material in about 6 hours total time.Matt's easygoing personality made it relatively stress-free to keep up with his rapid-paced syllabus. The guy has a knack for explaining the PFD, autopilot, approach procedures and more in such clear terms that he only had to repeat himself 5 or 6 times till I got the idea. I am amazed at all the little tricks he has to streamline avionics interaction.... and his knowledge of all things Garmin is world-class; I had no idea the little boxes were so much more useful!Using PAS to accept delivery in Duluth saved me the uncertainty of delays due to that Arctic climate, etc. He finished the paperwork and checked out the plane in the morning.PAS's rate is below what the factory wants for additional days with their instructors, or any of his competitors- and they are well worth the money. Perhaps the best way to summarize my feelings about Matt and his company is that I have committed to more training as soon as they can come back to the Bay Area... please consider using his services. I just finished three days of training in my brand new SR-22 N681PD! I ordered My SR-22 Mar 18th delivery was promised for May 6th. I hired Progressive Aviation to do acceptance, de-squaking, break in and training. Dealing with Matt and Progressive Aviation has been a truly wonderful experience. Everything from the time I hired them has been the ultimate in Professionalism and I am a picky businessman. We just finished three days of training and I couldn't be more pleased all the way around. I've had a lot of instructors over the years but Matt is certainly the top of the group. 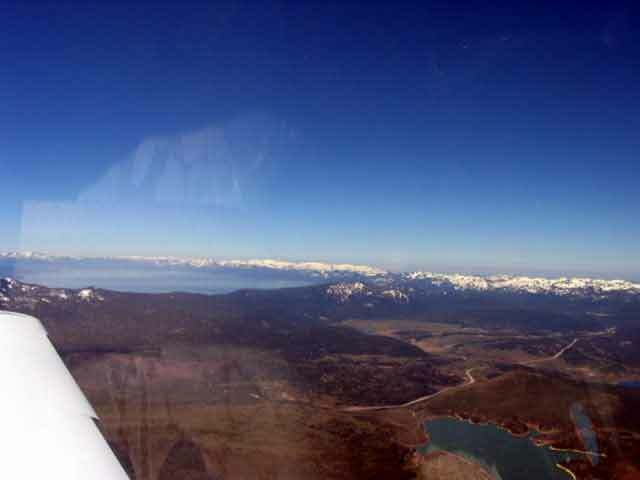 Below are two photos (Lake Tahoe and Mt. Shasta) taken during Mr. Dubin's final day of training. After waiting 9 months: planning, thinking, contemplating, researching, etc., our time of delivery and arrival was at hand. We are a group of 4 pilots, owning in partnership. 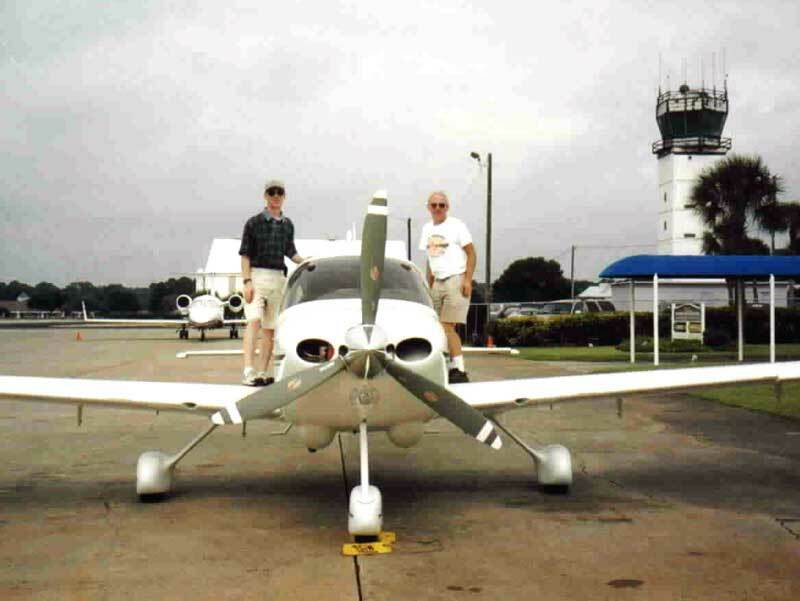 My introduction to Matt McDaniel and Progressive Aviation Services came through COPA and its forums(www.cirruspilots.org). Having owned and flown the same 1965 Skylane for 25 years, I was somewhat familiar with some of the issues that can crop up with ownership and partners. Moving from basically "old technology" to "new technology", it was important that we align ourselves with someone who knew "Cirri" inside and out. Even before hiring Matt & PAS, he provided a wealth of knowledge and information that made our experience much less stressful and ultimately more enjoyable. Once all the "star shine" gets out of your eyes, there are a lot of important details that can easily be missed and overlooked. Matt came to the rescue more than once, to illuminate the way. We wanted as smooth as experience as possible and Matt provided more than that for us. Considering our basic lack of knowledge of Cirrus aircraft and knowing Matt's in-depth knowledge of them, it was a no-brainer to hire Matt to help us with our acceptance and training. This was the best money we ever spent! Our training schedule required Matt to come to the Land of Infinite Variety . Even with March weather and other unforeseen factors, we worked around everyone's work schedule and were able to complete training in 8-9 days. I really don't know how he did it, but everyone successfully completed the required course of study - ground and air. Not only were we signed off, but more importantly, given safety approval by one I consider "the Best of the Best". High marks for Matt!! For which he would say: "all in a day's work". Then there is really only one thing to do - hire PAS! 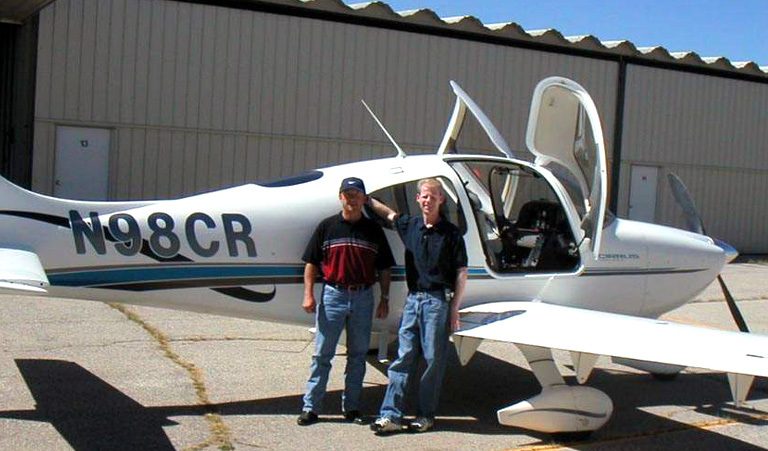 The training we received from Progressive Aviation Services far exceeded my expectations as a new co-owner of the SR22. Your professionalism, expertise in aviation in general, and your knowledge of the SR22 is without question beyond anything in the marketplace including, I believe, the manufacturer. The confidence level with which our group went about purchasing the SR22, with your advice, participation in our training, and confidence-building endeavors, made us a true believer in the future success of the SR22. And, this makes you one of the best sales people that the Cirrus Design Company will ever have. They should be proud to refer potential buyers to you and as a source for training that will improve the level of safety and the overall promotion of this aircraft to the buying public throughout the world. Your patience, common sense and friendly attitude to all of us, including our spouses and family when you visited the Black Hills and Rapid City area, has made this a good experience. We sincerely thank you and look forward to more training and continued professional relationships and personal friendship that we have developed with you through this experience. President, Western Dakota Insurors, Inc. I recently took a few days of recurrent training with Matt and I have to say he is a fine instructor. He knows Cirrus aircraft in every detail, and teaches some very useful techniques that are not part of the official Cirrus training cirriculum. Matt is one of those rare individuals who was born to teach. He does not immediately try to force you into a predefined set of practices like some inflexible instructors, rather he observes what you are comfortable with and teaches you how to improve the deficiencies in your habits/style and reinforces the good things about it. My only complaint is that Matt is not based in my home state, because if he were I would surely fly with him monthly...as it is I will have to settle for once or twice a year. I KNOW I'm a better pilot than I was before training with him, and I know what I need to work on. Thanks, Matt! Do yourself, and the rest of us, a favor, and give him a call for your recurrent training - you'll be a safer pilot for it. I want to report my experience with Matt McDaniel and Progressive Aviation. I got his name from a post on the Cirrus Owners and Pilots Association website, due to a question I posted about training. I contracted with Progressive Aviation to take delivery of my SR-20, do a complete engine break-in, ferry to NC and give me, a CFI and a friend (Commercial pilot) training. I can report that at every stage, their services were beyond expectation. Matt kept me informed as the break-in & delivery progressed and his training here in NC was fantastic. We are having him back for additional training after we get more experience with the avionics and the plane. Thank you to the COPA members who led me to Matt. If you have found this site and read this far, consider yourself lucky. 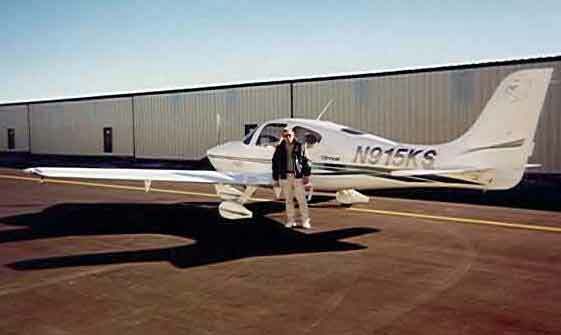 I was in a similar situation in September 2002 and had to arrange for a Power of Attorney Delivery of my new aircraft (a Cirrus SR-22). My CFI's schedule wasn't certain but the delivery date was. As the time approached my local CFI became unavailable for a possible extended stay in Duluth. What I really needed was someone with experience and flexibility. Enter Progressive Aviation... Matt McDaniel's credentials certainly speak for themselves, but it's a lot more fun talking to Matt. After a fifteen-minute conversation with Matt, my problems were answered, my comfort level restored, AND we had arranged for a trip to Duluth. It was that simple! I was so impressed after meeting Matt McDaniel, and working with him for a few days, I offered him a job. But he loves to fly, and is clearly satisfied in what he does. 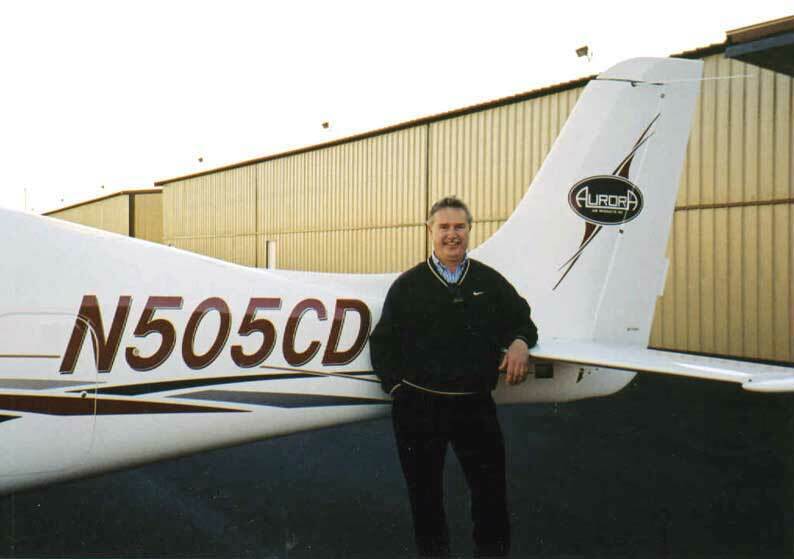 His knowledge of the Cirrus product and General Aviation is phenomenal but it doesn't compare to the customer consideration, friendliness, and attention to detail Matt provides for his customers. I am a totally satisfied customer and recommend that you check out Progressive Aviation Services. I not only picked up an airplane, I made a new friend. We were very pleased with all phases of the training we received from Matt McDaniel and Progressive Aviation Services. We especially appreciated the way Matt was so consciencious about the safety of every flight. 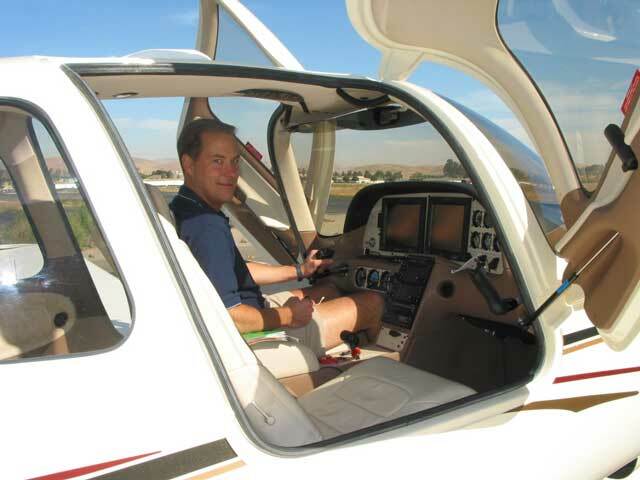 We thank him for his patience in showing us how to use the autopilot, Avidyne, and Garmin avionics systems. Matt also took the time to do a throuogh review of my logbook and endorsements, which reveiled an invalid endorsement that would have nullified my insurance. He made sure that our training together covered the necessary areas so that he could correct that problem. We thoroughly enjoyed the time we spent working with Matt and developing a new friendship, as well. It is indeed my pleasure to recommend Mr. Matthew McDaniel for your comprehensive Cirrus and High Performance Aircraft flight training needs. I have known Matt since the mid 90's when we were both flight instructors for the University of North Dakota. In fact, Matt provided me with the excellent training necessary for my Multi-Engine Flight Instructor certification back in 1997. He has provided me with various types of recurrent and proficiency instruction since then and I have always been highly pleased with his instruction. As former Skyway Airlines flight officers, Matt and I worked closely as Line Check Airmen on a major revision of the Beechcraft 1900D checklist, which required both company and FAA approval. Furthermore, we co-chaired the Skyway Airlines/Air Line Pilots Association Professional Standards Committee. Having witnessed his work and character, I am enthusiastic about this opportunity to comment on his abilities. Matt possesses excellent communication skills and is a personable individual who works very well with people and is adaptable to any situation. 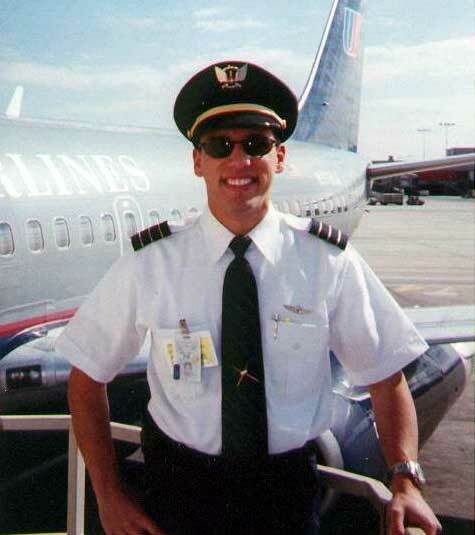 Matt is dependable and reflects the high standards expected of a professional aviator. He is absolutely sincere in his desire to do a good job and constantly endeavors to excel. I have always found Matt to be a consummate professional and steadfastly conscientious in the performance of all his duties. I can assure you he will prove to be an outstanding instructor and a definite resource to you now and for years to come. 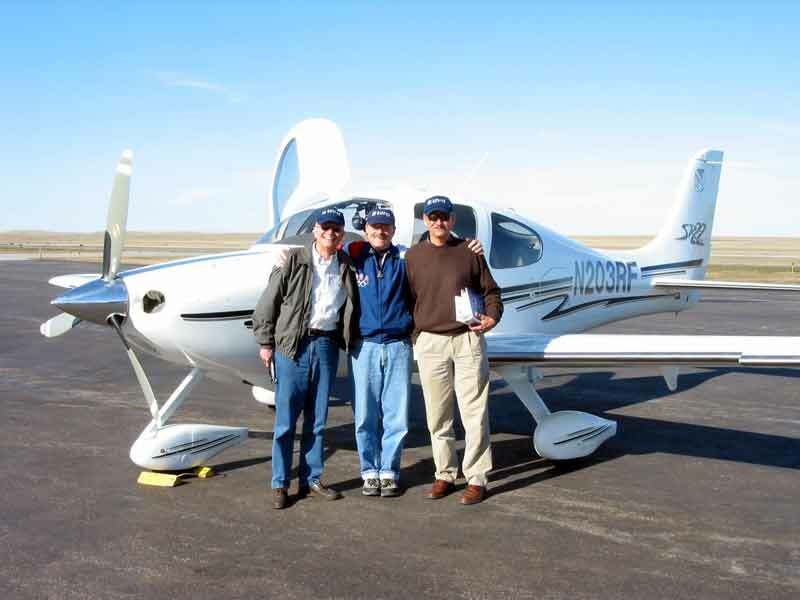 Most importantly, you will have FUN while flying with Matt, because he is passionate about airplanes and general aviation. I picked up my "new to me" SR20 in Cedar Rapids, IA, and flew it 9.7 hours to Great Falls, MT. The trip took two days, with Matt McDaniel in the right seat, giving me the transition training I required along the way. Matt's experience and credentials are only a small part of what makes him the best instructor I've ever had the pleasure of learning from. His professionalism, knowledge, thorough and well-organized syllabus, and patience made for a low stress and totally enjoyable learning experience. I was really looking forward to flying N433TM back to Oregon with [Cirrus’ Director of Flight Operations], who became unavailable prior to my delivery. He picked Matt McDaniel to fly back with me and it was a most excellent choice! Matt's professionalism was evident throughout all aspects of my training with him. He was relentless in his pursuit of ensuring that I would learn what I needed to know to fly N433TM safely and alas somewhat proficiently (the last is not due to any lack of effort on Matt's part). I am a flight instructor with 500 hours of dual given, and all I can say is that Matt is the flight instructor's instructor. It was a pleasure to have him on the trip, he was a boon companion at all times. Anyone choosing to use Matt’s instructional services will be fortunate to have him! 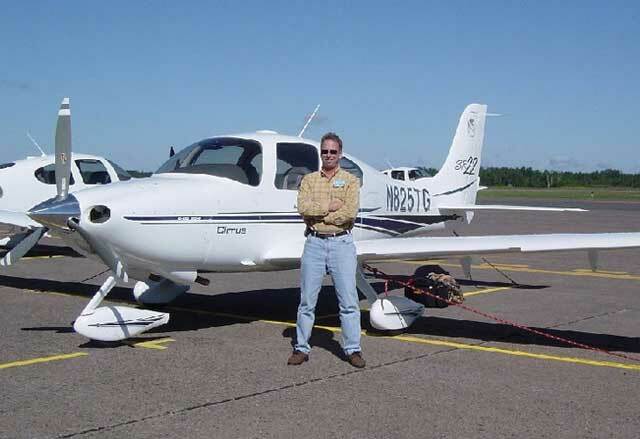 I took delivery of my SR20 in Duluth in Jan. 2002. I had the good fortune of having Matt McDaniel for an instructor. Initially it looked like my schedule would not allow me to take delivery personally, so I arranged for a power-of-attorney delivery in my absence. But at the last minute my schedule opened up and I was able to go to Duluth and fly the airplane back to Colorado Springs with Matt. He was (and is!) a great instructor, and made me feel very comfortable in the airplane. Due to weather, my first flight in the airplane was the flight from Duluth to Colorado Springs. It was (surprise!) miserable in Duluth that morning, with low ceilings and snow showers. 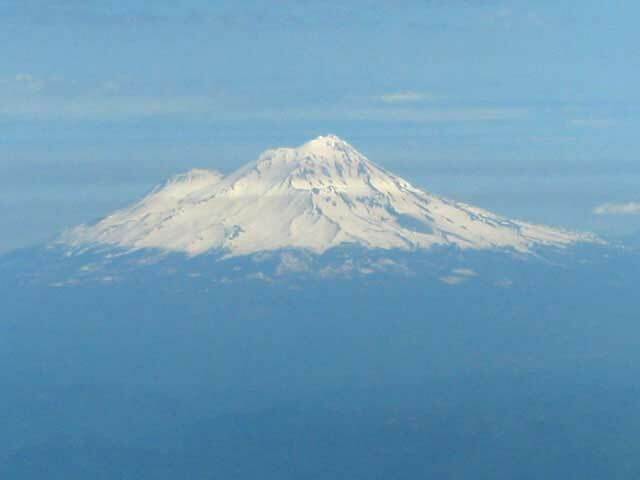 We were able to quickly climb through and get on top, and had a wonderful flight after that. The first landing was in Sioux Falls, SD for fuel, and I asked Matt to land it while I "followed along". The next landing was at night, in Colorado Springs, which I flew with Matt's coaching. I'm saying it was greaser. I trained with Matt the next two days, and had him check out my local instructor in the airplane. When he left I felt completely safe and comfortable with the airplane and its systems. If you are looking for an instructor in the Cirrus, you can't do much better than Matt. I can certainly support the comments of others, in regards to Matt McDaniel. Matt is the most knowledgeable and most professional instructor that I have come across. Matt is very demanding but he goes the extra mile to make it interesting and fun at the same time. We did a lot of the training on the way home and he was able to adapt the training to whatever situation we were in at the time. What I appreciated most was the very straight feedback throughout the training and an excellent debriefing at the end with some very good advice on how to keep improving in the future. I would certainly recommend Matt very highly to anyone who want initial, additional, or recurrent training. I took my initial training for the SR20 in November 2001 from Matt McDaniel. At the time I was a 200 hr Cessna driver with a freshly minted IR. I had never been more than 1 hr from my home base in an aircraft. Matt came to my home base and spent 3 days training myself and my local instructor. The training was fabulous. Matt is a very accomplished pilot and knows the ropes forwards and back. He taught me so much more than just how to fly the SR20. It was a 3 day course that took me from being a timid, pilot to becoming a pilot who had the confidence to take on conditions that would have kept me grounded before. Matt is a very structured and organized instructor. He did not miss a thing. He allowed me to make mistakes and then pointed them out so we could review them and make needed corrections. Matt is absolutely the most talented and enjoyable instructor I have worked with in my 5 years of flying. 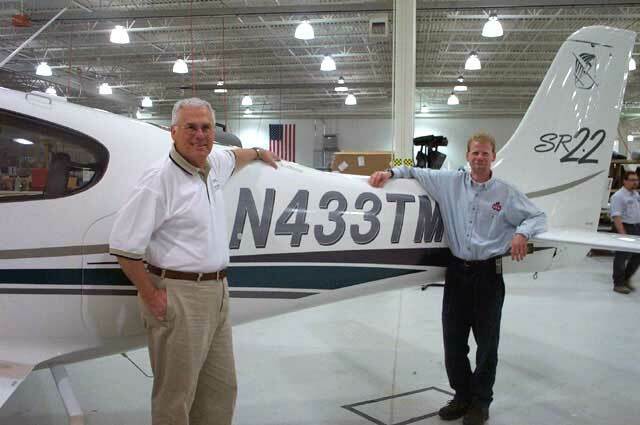 Whether you are looking for Cirrus instruction or any other instruction for that matter, give Matt a call. You will be glad you did.